As promised, here’s the links to the PPTs we discussed in class. Good luck! Don’t believe everything you read about my arrest. There is much more to the story. I know I will be vindicated in court. In 1985, Sylvester Stallone single-handedly killed 58 people over 96 minutes. Of course, the deaths were onscreen in the movie, “Rambo: First Blood, Part II,” which was critically-panned and labeled unrealistic because there’s no way a single person could to take out an entire army. More than 30 years later in America, there’s real-life, Rambo-like bloodshed, only the death toll is higher, and the people being killed are innocent. Rambo’s once seemingly unrealistic death toll of .60/kills per minute, pales in comparison to the 17 killed by the Parkland shooter in just six minutes, a rate of 2.8/kills per minute, or the 58 people killed in under 10 minutes by the Las Vegas shooter, a rate of 5.8/kills per minute. In six of the deadliest mass shootings in American history, the gunman used an AR-15, which allows the shooter to fire off dozens of shots in under 10 minutes. The Las Vegas shooter fired a whopping 1,100 bullets in 10 minutes, an average of 110 bullets in one minute – that’s roughly two shots every second. These murderers attained the weapons, magazines and accessories to complete their killing sprees legally. Our government believes the Parkland shooter, who was 19 at the time of his killing spree, wasn’t old enough to purchase a beer. But he is old enough to purchase an AR-15 and enough ammunition to kill hundreds of people. Weapons like the AR-15 serve one main purpose — to kill multitudes in a short amount of time. They’re not used for hunting. They’re not used for self-defense. They’re used to kill as many people in as little time as possible. Republicans continue to offer “thoughts and prayers,” either saying “it’s too soon” to talk about solutions or using mental health as their scapegoat (as if mental illness is a new development in the last decade). But past history indicates there is a solution that has worked in this country just 25 years ago. In 1994, with overwhelming bipartisan support, the federal government passed an assault weapons ban that made guns like the AR-15 illegal to own. The ban expired in 2004. During the 10 years the law was in place, there were a total eight mass shootings resulting in 51 deaths. Six of the eight massacres involved semiautomatic weapons purchased legally before the assault weapons ban took effect in 1994. The two mass shootings featuring illegally acquired weapons — Columbine in 1999 and Edgewater Technology in 2000 — resulted in 20 combined deaths. The assault weapons ban worked. Obviously, assault weapons and the ease of purchasing them is not the sole reason for the spike in mass casualties. However, the link between the spike in mass killings and the expiration of the assault weapons ban is undeniable. We never thought the mass murder Rambo inflicted could be possible, but with assault weapons like the AR-15 easily attainable, Rambo has become real. And he’s after our children. I was hoping this book would provide unique insight into the 2016 election. It did, but it steered in many different directions, from Hillary’s childhood to her love of her grandchildren. That made the book a little disjointed. 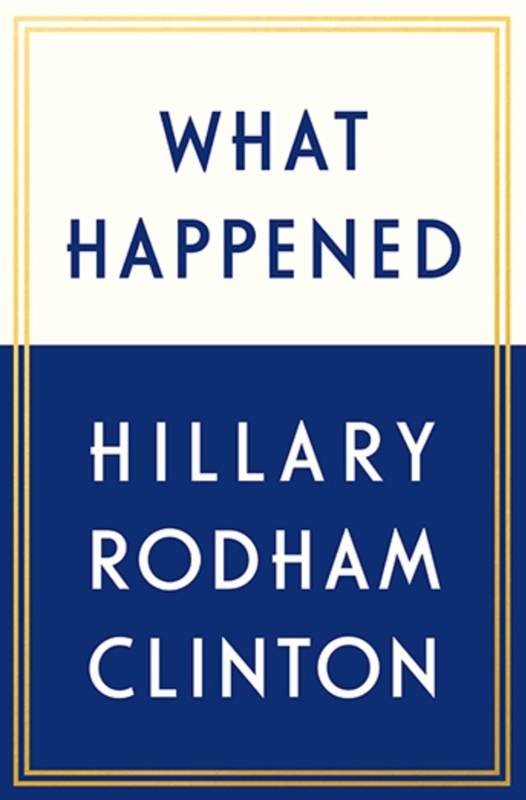 Critics of “What Happened” complain that Hillary shuffles blame for election defeat. That is flat-out wrong. In the book, Hillary is constantly playing the “what if I ….” card and acknowledges her errors. However, she correctly points out the many factors she had no control over — the constant Comey conferences, Russian interference, the continuous “fake news” stories circulating on social media, the endless Benghazi hearings. Criticizing her for pointing out these unprecedented attacks on her character are unfair. They definitely had an impact on the election. Hillary ends the book with a call to readers to work Onward Together, and promises to keep fighting. This offers members of the “Pantsuit Nation” some inspiration after a devastating defeat. Hopefully, though, it won’t be too late.